Two North End residents and members of the Shoestring Players are taking part in a classic production to raise money for Hospitality House Refugee Ministry. 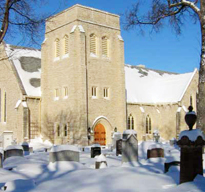 In May, the theatre group will be performing I Remember Mama, a play originally produced in 1944 by Richard Rogers and Oscar Hammerstein, at St. John’s Cathedral. The original production is a compilation of six short stories from Kathryn Forbes’ book Mama’s Bank Account, about a Norwegian immigrant family and their struggles coming to North America in the 1900s. The play has been adapted to be set in 1910 Winnipeg, a time when many immigrants arrived. “Right at that time, Winnipeg was enjoying its great expansion and immigrants were pouring in from Europe,” said Peter Spencer, the play’s director. I Remember Mama speaks to the struggles and experiences many newcomer families are going through, Spencer said. HHRM is a non-profit organization that sponsors refugees, provides housing and support for up to 12 people at a time. Although many parishes and donors have supported their work, Tom Denton, HHRM’s executive director, said help is always welcome. The cast of 17 local artists has been rehearsing since the end of February. Spence said it’s a short time for such a big production. The church will be adapted to become the stage for I Remember Mama. 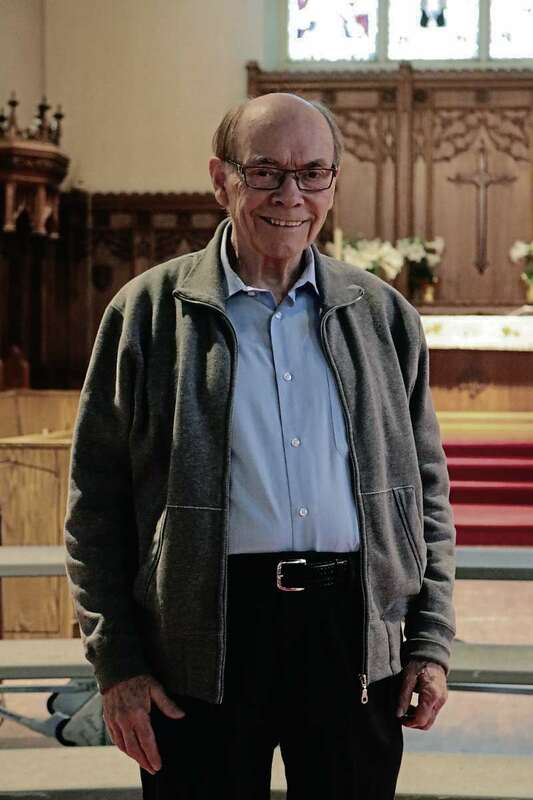 North End resident Robert Butler has been creating costumes for the Shoestring Players for over 20 years and said dressing up characters plays an essential part in any production. He researches the era and the characters in the production and then goes through the Shoestring Players’ stock, as well as thrift shops and available fabrics, to create something that will support the characters. “If the costume is not working on stage it can be distracting for the performance. The audience is watching and thinking ‘there’s something wrong with that.’” Butler said. 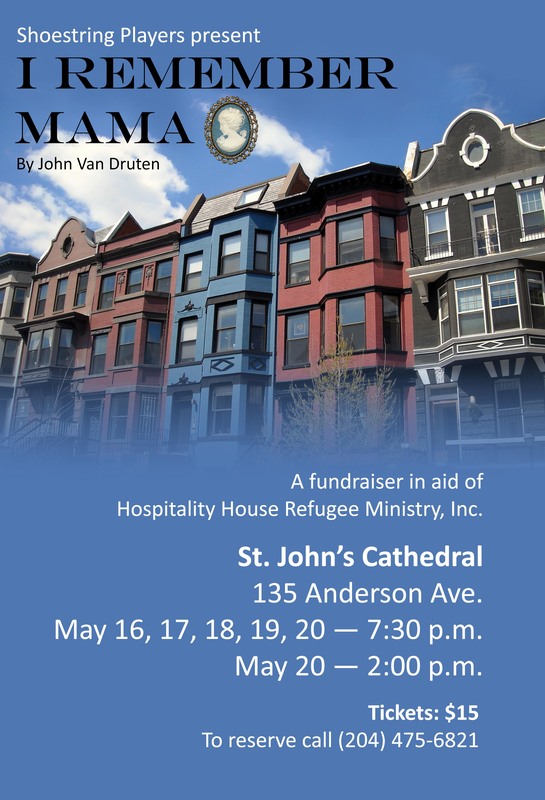 Join The Shoestring Players at the Cathedral May 16th through May 20th for their presentation of ‘I Remember Mama’. Proceeds from the play will benefit the Hospitality House Refugee Ministry.